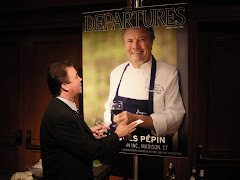 Cooking for Solutions has announced the celebrity chef lineup for its 2010 event, the ninth year of celebrating sustainability in the context of great food and wine — an elegant way to discover how healthy choices protect the health of the earth and ocean. The three featured chefs at the event (May 21-22) are Suzanne Goin, from Lucques in Los Angeles; Rick Bayless, from Frontera Grill in Chicago; and Guy Fieri, star of the Food Network's "Diners, Drive-ins and Dives." Events include the signature gala celebration, as well as food and wine adventures, cooking demonstrations and a seafood challenge. Tickets for the general public go on sale Jan. 18. Information: www.cookingforsolutions.com. Crabs’ teeth are in their stomachs. Preheat oven to 325°F. Bake bread cubes on 2 large rimmed baking sheets until lightly toasted, about 20 minutes. Place rack in center of oven and preheat to 450°F. Sauté bacon in large skillet over medium heat until crisp. Transfer to paper towels to drain. Transfer drippings to glass measuring cup. If needed, add enough melted butter to measure 1/4 cup total. Pour drippings into 13x9x2-inch glass baking dish. Place dish in hot oven to heat drippings 10 minutes. Whisk flour, 2 tablespoons sage, and salt in medium bowl to blend. Whisk milk and eggs to blend in large bowl; add flour mixture and whisk until batter is smooth. Whisk in 2/3 of bacon. Remove hot baking dish from oven. Using oven mitts or pot holders to protect hands, tilt dish to distribute drippings evenly. Pour batter into pan. Bake 15 minutes; reduce oven temperature to 350°F and continue to bake until golden brown and puffed, about 12 minutes longer (do not open oven door while baking). Preheat oven to 350°F. Spray 9-inch-diameter springform pan with 2 3/4-inch-high sides with nonstick spray. Grind cookie crumbs, pecans, brown sugar, and ginger in processor until nuts are finely ground. Add butter; using on/off turns, process to blend. Transfer mixture to prepared pan; press onto bottom and 2 inches up sides of pan. Bake crust until set and lightly browned, about 10 minutes. Cool completely. Preheat oven to 350°F. Using electric mixer, beat cream cheese and sugar in large bowl until light and fluffy, about 2 minutes. Beat in pumpkin. Add eggs 1 at a time, beating on low speed to incorporate each addition. Add flour, spices, and salt; beat just to blend. Beat in vanilla. Transfer filling to cooled crust. Bake until filling is just set in center and edges begin to crack (filling will move slightly when pan is gently shaken), about 1 hour 20 minutes. Cool 1 hour. Run knife around sides of pan to release crust. Chill cheesecake uncovered in pan overnight. Stir marshmallows and milk in medium saucepan over low heat until marshmallows are melted. Remove from heat and stir in vanilla and salt. Cool marshmallow mixture to room temperature, stirring occasionally. Add sour cream to marshmallow mixture; fold gently just to blend. Pour topping over cheesecake and spread evenly, leaving 1/2 inch uncovered around edges. Chill to set topping, at least 1 hour. DO AHEAD: Cheesecake can be made 1 day ahead. Keep chilled. Blend all ingredients in processor until bacon is finely chopped. Transfer to sheet of plastic wrap. Using plastic wrap as aid, roll butter mixture into 2-inch-diameter log; chill until firm. DO AHEAD: Can be made 3 days ahead. Keep chilled. Preheat oven to 425°F. Combine turkey neck, 1/4 cup turkey fat, and turkey leg in heavy large ovenproof pot. Place in oven; roast uncovered until turkey parts are deep, dark brown, turning once, about 1 1/2 hours. Drain, reserving fat from pot. Reserve 1/4 cup fat for gravy; return 1 tablespoon fat to pot. Return turkey parts to pot; stir in celery, onions, thyme sprigs, and peppercorns. Return pot to oven; roast uncovered 10 minutes. Add apple cider and vinegar; roast 10 minutes longer. Reduce oven temperature to 375°F. Add 8 cups stock and sage to pot; cook in oven uncovered 1 1/2 hours. Strain gravy base through fine strainer; discard solids in strainer (there will be about 5 cups gravy base). DO AHEAD: Can be made 2 days ahead. Cover and chill. Cut bacon butter into 1/4-inch-thick rounds and let stand at room temperature 20 minutes. Rinse turkey inside and out; pat dry. Starting at neck end, carefully slide hand between skin and breast meat, then slide hand between skin and thigh meat. Carefully slide butter slices between skin and leg, thigh, and breast meat to cover (there will be a generous amount of butter mixture). Sprinkle 1 teaspoon coarse salt and 1 teaspoon pepper over turkey, and 1 teaspoon coarse salt and 1 teaspoon pepper in main cavity of turkey. Place turkey on rimmed baking sheet. Cover with plastic wrap or foil; chill at least 1 day. DO AHEAD: Can be made 2 days ahead. Keep chilled. Set rack at lowest position in oven; preheat to 350°F. Mix onions, celery, fennel, carrots, apples, oil, and bay leaves in large roasting pan. Sprinkle generously with salt and pepper. Place turkey atop vegetable mixture. Tuck wings under; tie legs together loosely to hold shape. Place turkey in oven; roast until instant-read thermometer inserted into thickest part of thigh registers 170°F, basting with pan drippings every 30 minutes and tenting loosely with foil if browning too quickly, about 4 hours total. Transfer turkey to platter (internal temperature of turkey will increase 5 to 10 degrees). Pour vegetable mixture and pan drippings into large strainer set over large bowl; press on solids to extract liquid. Discard solids in strainer. Spoon off fat from pan drippings; discard (there will be a large amount of fat in pan drippings). Reserve degreased pan drippings for gravy (about 1 cup). Remove fat from surface of gravy base; reserve 1/4 cup fat. Rewarm cider gravy base. Melt reserved 1/4 cup fat in large saucepan over medium heat. Add flour; stir 3 minutes. Gradually add warm cider gravy base and degreased pan drippings. Simmer until smooth, thickened, and reduced to 51/2 cups, whisking frequently, about 5 minutes. Season gravy with salt and pepper. Richard Oh almost sounds like a winemaking hippie when describing his signature spirit Ohzone. But his excitement is understandable, given he's released the first new commercial spirit in about 60 years. "I love what I do. I'm out there spreading joy," said Oh, 45, of Pacific Grove. "It's not a job to me." Ohzone is Oh's first venture into the spirit market, after five-plus years spent making his Otter Cove brand of wines. A 70-proof clear spirit made from wine grapes, Ohzone is both Oh's creation and newfound passion. Oh described the taste as a "berry essence, with a hint of licorice and hints of grapes." There is a faint alcohol taste, but that is all but elminated when it is mixed. "By itself, you'll get a bit (of alcohol taste) up front. But as it goes down, it gets smooth," he said. Making it was the first challenge. Finding creative ways to serve it has become his latest project. "It will go pretty much with anything," Oh said, before rattling off a list of drinks that can be made with Ohzone, including daiquiris, martinis and bloody Marys. A bottle retails for $23, and can be bought locally at several stores, including Cork 'N' Bottle in Monterey and Pacific Groveand Star Market in Salinas. Bars and restaurants where it is served include Lallapalooza, LALLAgrill and El Palomar, all in Monterey. Oh created the drink from the leftover alcohol extract from his wine. Not wanting it to go to waste, Oh thought of ways to use it. "Sometimes our wine gets a little hot, so we have to extract the alcohol. That alcohol pretty much was going to waste," he said. "(The alcohol) comes out 124 proof, and it tastes pretty much like grappa (a colorless, high-alcohol product from Italy made from grape skins and seeds left in the wine press). It wasn't smooth enough (on its own)." A painstaking process of testing and retesting led Oh to his final formula, using a cold distillation and cross-flow filtration. They initially tested the alcohol content between 60 proof and 120 proof before Oh settled on 70 proof. "That was the key," he said. Now, Oh is having fun mixing it with everything from rum and tequila to such popular night club liqueurs as Hypnotiq and X-Rated. He's also come up with a list of drinks based on the Oh name, with everything from Red ZOHne and CosmOH to one of his personal favorites, the OHgasm. "We're having loads of fun with this," said Oh. "We're trying to do a drink with the name OHbama." Oh said the spirit can also be used in the kitchen. He teamed with local chef Colin Moody to create an Ohzone dish, truffled artichoke and pistachio bisque with Dungeness crab croquette. For truly memorable tasting pork, try the one-of-a-kind Premium Duroc Pork from Vande Rose Farms. Their all-natural Premium Duroc Pork is source-verified from our family farms, raised responsibly, hand-selected for quality and minimally processed to retain the flavor qualities found only in the Duroc breed. Today, all of the Vande Rose Farm Duroc hogs are raised from start to finish on our single-source family farms in environmentally controlled facilities to keep them comfortable. In our responsible, sustainable farming operations, we feed each hog only natural grains grown on our farms - no antibiotics fed here. We hand select hogs for processing to ensure the full, natural flavor true pork connoisseurs have come to expect. If you truly appreciate great ham and bacon, you’ll love the exceptional all-natural flavor of Vande Rose Farms artisan hams and bacon made from their own Premium Duroc Pork. The Duroc breed naturally displays better marbling and retains more moisture to deliver the very best ham and bacon you can lay your hands on. To amplify this great flavor, they use their centuries-old, hand-crafted rubs and cures – a simple mixture of natural seasonings without phosphates – to create their famous artisan taste. they cure their hams and bellies for as long as a week and then they slow smoke them over real applewood to seal in that amazing taste. No water is added so the ham and thick-sliced bacon retain a dense, meaty texture and maximum flavor. By raising their Duroc hogs responsibly with a diet of their own natural grains with no antibiotics, Vande Rose Farms Artisan Hams & Bacon deliver a one-of-a-kind taste you won’t soon forget. The Duroc is an American breed dating back to the 1830s, developed from the Jersey Red of New Jersey and the Duroc of New York, which in turn find their roots in Europe. The Duroc hog is best known for displaying great marbling, rich color, high moisture content and an exceptional taste. 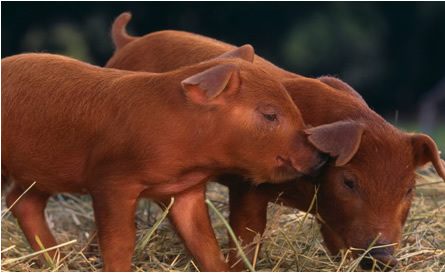 At Vande Rose Farms, they have raised award-winning Duroc hogs on their family farms for more than a century. Blue crabs love to lie in mud. When a predator comes they can camouflage themselves in it to escape. This weekend, Monterey County Vintners and Growers Association will host its 13th annual Great Wine Escape Weekend. The event will take place from Friday through Sunday at various locations in Monterey, where attendees will get the opportunity to celebrate Monterey County's world-class wines and gastronomic delights. What makes this wine event stand out from other food and wine festivals on the Peninsula is that this is the only event that exclusively features Monterey County wines. But, according to Julie Rosenau, the association's business development manager, it isn't just about the wine. "When you come here for our Great Wine Escape, we are showcasing what is best about Monterey County — the people, the scenery, the wineries — the whole experience," said Rosenau. "Not only are (participants) going to experience new wines they may not know about, but they will also experience the scenery, the bay, the wineries, Cannery Row, the aquarium and more." Foodies and wine enthusiasts will get the chance to sample some of the region's finest wines and gourmet meals,as well as the opportunity to rub elbows with celebrity chefs and award-winning wine makers. They will also learn about Monterey's burgeoning wine industry and how to pair different wine varieties with fabulous foods. For those interested in getting their fingers stained, there will even be an opportunity to blend your own signature bottle of wine. Sponsored by Wine Enthusiast magazine, one of the main highlights of the weekend will be the "Founding Fathers Dinner" on Saturday night, where guests will get the chance to meet some of the pioneers of the local wine industry: Jerry Lohr of J. Lohr Vineyards & Wines, Rich Smith of Paraiso Vineyards, Eric Wente of Wente Vineyards, Phil Franscioni of Arroyo Seco Vineyards, Steve McIntyre of McIntyre Vineyards and Al Scheid of Scheid Vineyards. These winemakers will partner with Robert Bleifer, executive chef of the Food Network; Executive Chef Jerry Regester of the InterContinental: The Clement Hotel Monterey and Executive Chef Jeffery Jake of the Carneros Inn, Napa Valley to craft a seven-course meal paired with 24 wines. 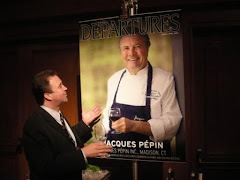 Steve Heimoff, West Coast editor of Wine Enthusiast, will also be there to guide guests through this historic evening. "In the 1970s, these founding fathers came together with the objective to promote broader brand awareness of wine and grapes in Monterey County," said Rosenau. "It's an honor to be in the room with these guys. It's their blood, sweat and tears that have gone into the ground and made it possible for the wine industry in Monterey County to be what it is today." Place the lettuce hearts in a salad bowl which has been rubbed over with the cut clove of garlic. Mix together the mustard, salt, paprika, vinegar, and beat in olive oil until thick; then gradually add the cheeese and the hard-cooked yolks of eggs rubbed through a sieve. Pour over the lettuce and serve garnished with the whites of eggs." Cook bacon in large skillet over medium heat until golden brown and beginning to crisp. Arrange lettuce on plates. Spoon dressing over. 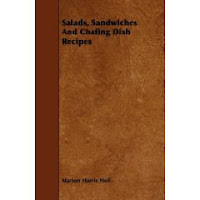 Using slotted spoon, transfer warm bacon from skillet onto salads, dividing equally. Garnish with red onion. 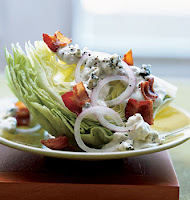 For true upscale Wedge be sure and mention your source specific ingredients as the do at Restaurant Widow blog. Iceberg was a"..crispy delight from Wayward Seed at the Clintonville market this past Saturday, and then completed the ingredients with bacon from Oink Moo Cluck, Amish crumbled bleu cheese, hydroponic grape tomatoes from the Dublin Market, and a surprisingly tasty cucumber from Toad Hill Organics." Crabs do not hibernate; rather they lie dormant for the long winter. Marshmallows are the latest comfort food to get a makeover, with flavors ranging from mint to gin and tonic. Across Canada, handmade “haute” versions – artisanal, vegan, whimsically flavored – are appearing in upscale bakeries and gourmet chocolate shops. Nadège Patisserie in Toronto offers marshmallows in flavors such as violet, poppy, coffee and banana. Vegan versions are found at Panacea, an all-vegan store, in flavors like pecan-cinnamon, strawberry and toasted coconut. Read more at the Center for Culinary Developments, "SideDish" newsletter here. Marshmallow candy originated in ancient Egypt. Until the mid 1800's it was a honey candy that was flavored and thickened with Marsh-Mallow plant sap. Althaea officinalis (Marshmallow, Marsh Mallow, or Common Marshmallow) is a species native to Africa, which is used as a medicinal and ornamental plant. It grows in salt marshes, in damp meadows, by the sides of ditches, by the sea and on the banks of tidal rivers. Today marshmallows are a mixture of corn syrup or sugar, gelatin, gum arabic and flavoring. Nineteenth century doctors extracted juice from the marsh mallow plant's roots and cooked it with egg whites and sugar, then whipped the mixture into a foamy meringue that later hardened, creating a medicinal candy used to soothe children's sore throats. The candy makers needed to find a new, faster way of making marshmallows. As a result, the "starch mogul" system was developed in the late 1800s. Rather than making marshmallows by hand, the new system let candy makers create marshmallows in molds made of modified cornstarch (like jelly beans, gummies and candy corn are made today). At about the same time, mallow root was replaced by gelatin, providing marshmallows with their "stable" form. In 1948, Alex Doumak, a marshmallow manufacturer, began experimenting with different methods of marshmallow making. Doumak was looking for ways to speed up production and discovered the "extrusion process", which revolutionized marshmallow production. Now, marshmallows can be made by piping the fluffy mixture through long tubes and cutting its tubular shape into equal pieces. In 2007 the marshmallow industry was worth about $132 million and was growing at nearly 7 ½ % over 2006 as the gourmet or artisan marshmallow dessert trend started cranking. Pastry Chef's shunning the mass produced marshmallow were handcrafting upscale, unique and delicious versions of the old favorite. stop stirring and allow the mixture to come to a boil. Continue boiling until mixture reaches 260 degrees (hard-ball stage). over the top and stir briefly. Let the gelatin sit for 5 minutes, until it is completely absorbed by the liquid. Set the pan over low heat and stir constantly til the mixture is liquid. before the sugar syrup reaches the correct temperature, stop the mixer until the sugar syrup is ready. marshmallow in the mixer until it is thick enough to hold its shape and is opaque. Depending on your mixer, this will take about 5-10 minutes. for several hours or overnight to fully set the marshmallow. dust the top of the candy with more sugar/starch. you desire. Dredge the cut edges of the marshmallows in the sugar/starch mixture so that they are not sticky. Make your marshmallows the center of attention by adding gourmet ingredients & toppings, both savory & sweet. Don't have time to make your own marshmallows? Contact Artisan Marshmallows. from Livermore CA, to see about shipping. This mother of twin girls began making marshmallows for fun and began selling them in 2003. This are not in anyway to be confuse with what is offered as a Mallo Burger. classification the government gave the tomato for trade purposes in 1893. (without calcium chloride) as preferred by Italian Chefs. What's Really In The Can? In the United States there is a common phrase used for Italian style canned tomatoes. The phrase is "San Marzano style" which means an Italian whole peeled pear tomato with a sweet flavor and a soft texture. The characteristics of this style tomato are achieved in the way the tomatoes are processed. Italian canned tomato processors are not allowed to use a firming agent called calcium chloride in their production. The result is a sweeter tomato with a soft texture that cooks down quickly and preserves a truer tomato flavor. Canned tomatoes in the San Marzano style are believed to be of the highest quality. Here in the US processors commonly use calcium chloride in their whole peeled tomato production. This firming agent adds additional yield to each can packed, while stripping the tomato of its true sweet flavor and soft texture. This is not the case at US Foodservice San Francisco. They proudly feature a whole peeled tomato product in the true San Marzano style. 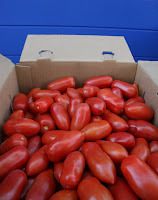 It is the fresh packed Roseli Whole Peeled Pear Tomato in Natural Juice San Marzano Style USPN# 8330169 6/#10. You will find this Roseli tomato to be sweet in flavor, soft in texture, and packed in slightly thicker juice than standard canned tomato. These characteristics are invaluable to producing the high quality spaghetti sauces and Italian dishes our customers demand. The qualities of our Roseli tomatoes far exceed tomato products offered by our competitors. Just ask Dean and Debbie Young at Classic Catering who switched to this product and has enjoyed the quality since. Or Mike Hackett at Casa Sorrento Pizzeria who feels this fresh pack, non-chemical added tomato makes the difference in his sauce. Please contact Brian Isaeff at (831) 601-6398 to compare Roseli products versus your tomato products. America has more varieties of crabs than anywhere else in the world. A tagged blue crab was recorded swimming 35 miles in 48 hours! My prediction is immediately before Thanksgiving. Dungeness crab fishing is extremely important for local economies. The start of commercial crab season may be up in the air due to early tests falling short of the required meat-to-shell ratio. Each year the DFG’s Marine Invert­ebrate Project tests the ratio of meat to shell because by law commercial crab season can’t start until that ratio is 25 percent. If the season were to be delayed, local fishermen would have to once again tighten their belts after recent years of low crab harvests and no salmon fishing. The first round of testing happened last week with crab traps set off Crescent City, Trinidad, Eureka and Fort Bragg. The average percentage of meat to shell was 22.4 percent among the four areas, with Trinidad and Eureka crabs at 21.2 percent and 21.5 percent. 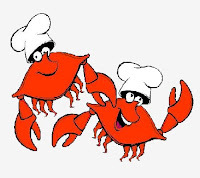 Crescent City crabs were 24.2 percent. The 25 percent level must be met in all of the areas before crab season can start. Another test is required to determine if the North Coast crab population will reach the required plumpness by Dec 1. Kalvass did not think that the test results were unduly dire, or unusual. Part of the problem might be that the tests were performed earlier this year than last, Kalvass said. “Generally speaking, if the tests are done earlier, they are more likely to run into this problem,” Kalvass said. Cooking the turkey has been a mystery for many. Here are a few chef tips from Steve Salle, Culinary Director at US Foodservice San Francisco that might shine a little light on the subject. Cook turkey to 165 internal temp ( over cooking will reduce your yield)…..let rest for 20 minutes before slicing ( this is very important for two reasons)…first the meat needs to climb to 170-175 for food safety. In a medium saucepan, combine 2 cups of the water with the salt, sugar, peppercorns, fennel, coriander seeds, juniper berries, marjoram, bay leaves and the halved head of garlic, Bring the brine to a simmer, stirring, until the sugar dissolves. Arrange the racks of pork ribs in a single layer in a roasting pan just large enough to hold them. Add the brine and the remaining 6 cups of water. Cover and refrigerate for at least 8 hours and for up to 12 hours. Preheat the oven to 325°. Drain and rinse the ribs and pat dry. Set the racks on a large rimmed baking sheet in a single layer and cover with foil. Roast for about 2 hours, or until very tender. In a large bowl, mash the anchovies and the remaining 2 teaspoons of minced garlic, then stir in the lemon juice. Add the 1/2 cup of olive oil and the parsley. Light a grill. Brush the grate with oil and grill the racks over a medium-hot fire for 5 minutes, turning occasionally, until crisp and browned. Transfer the racks to a cutting board and cut in between the ribs. Toss the ribs in the dressing and pile on a platter. Serve hot, warm or at room temperature. Heat wok and add Chicken with ginger until cooked. Add cabbage, carrot, onion, and bean sprouts until cooked. Add oyster sauce and cashew and let cool. Place a tablespoon of mix in the center of an eggroll skin. Fold the bottom up over filling, then fold the sides in to form an envelope shape. moisten remaining flap and roll egg roll over to seal. Deep fry in hot oil of choice until browned on all sides. Drain on paper towel and serve. Giving thanks was never sweeter. Make delicious honey pumpkin pies or honey pecan pies to greet Thanksgiving festivities. Bake soft and delicious honey rolls to serve with dinner.